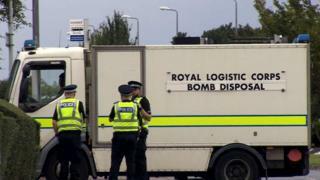 A 30-year-old man has been charged following an incident that saw bomb disposal officers called to a property in Dundee. A device was discovered during a search of the flat in Carlochie Place on Thursday and subsequently removed. The man has been charged in relation to firearms offences and is due to appear at Dundee Sheriff Court on Monday. Police said there was no wider risk to the public and officers would remain in the street for the time being.